In a lunch and learn hosted by The Rosie Network for the Service2CEO program, we learned about the importance of a business plan. Unfortunately, I missed most of the lecture because I had to pick up my daughter from camp. However right before I left, we watched Simon Sinek’s TED talk How Great Leaders Inspire Action which was based on the book Start with Why. I’ve heard of the book (have yet to read it) and this was the first time I saw the third most popular TED video of all time! Why should we ‘start with why’? Because the WHY conveys your purpose and beliefs giving a deeper meaning to your mission. Build Awareness. 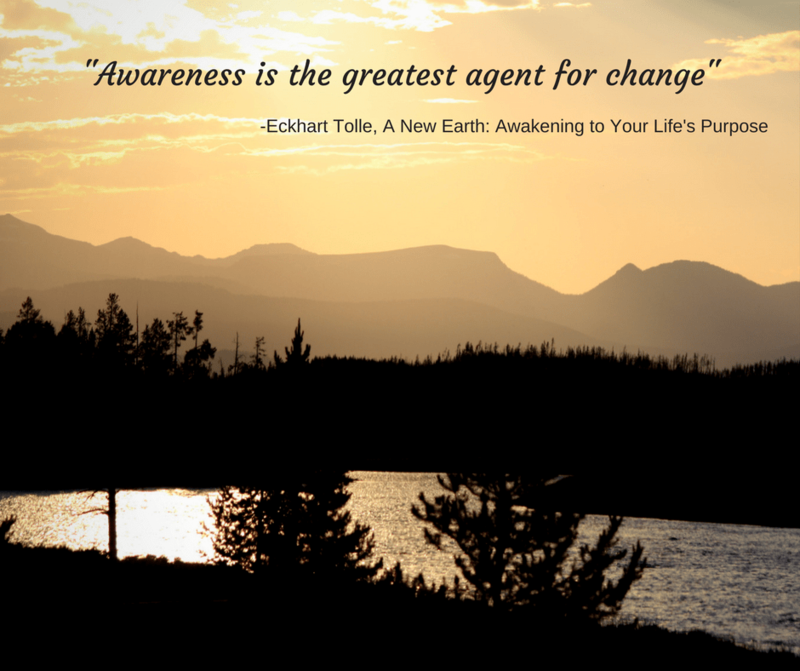 Being aware makes you realize a need for change. This is when you start to think about the advantages and disadvantages of taking action. I believe raising awareness about the way we eat, move, sleep, and handle stress paves a way towards change for improved health. Grow a Community. How important is it to have the support of a community when you’re in the midst of a challenge? A lifestyle change to improve your health is a challenge. To have others celebrate your achievements and empathize when you feel defeated makes a big difference. Someone to applaud you when you reach a goal. Someone to listen to you when no one else understands. A community standing with you is an essential ingredient of healthy living. Ultimately, I created evoke STRONG so I can serve you. You, who needs guidance in choosing the path towards a lifestyle of healthy habits. I invite you to watch the replay of Ep01: An Introduction to evoke STRONG. Click on the FB logo to enable the comment feature if you’d like to leave comments for the show. Would you like to be notified of future episodes of our live show? Scroll to the bottom and subscribe to our newsletter! Have you (or someone you know) had a lifestyle change to improve your health and would love to share your story? Send us an email on evokestrong@gmail.com. Next postHealth News Too Good to be True? Be Critical! Thanks for sharing! These “why” posts are often my most favorite to read! I love the idea of community growing. This is how we serve each other and build! Yes having a community to lean on is so important for reaching goals especially when it revolves around a lifestyle change. These are such great tips. I’ve been apart of a few different Direct Sales Companies before I started blogging and finding a why and building a business plan with goals are always so big and what everyone talks about when they talk about why they’ve succeeded. Thanks! It does help to define your why. And when there are obstacles along the way, you keep on going because you know exactly why you’re doing it. Yes! In any project I start with the why. Love these points you made! I’m definitely going to watch that TED talk and get the book! I plan to get the book too! I love that your passion is to serve. It’s one of mine too. I’m so happy that your business is taking off and you’re stepping out of your comfort zone to help others. It’s admirable. Thanks for all you do. Thanks Angela! I’m excited to see you create a big impact as well!